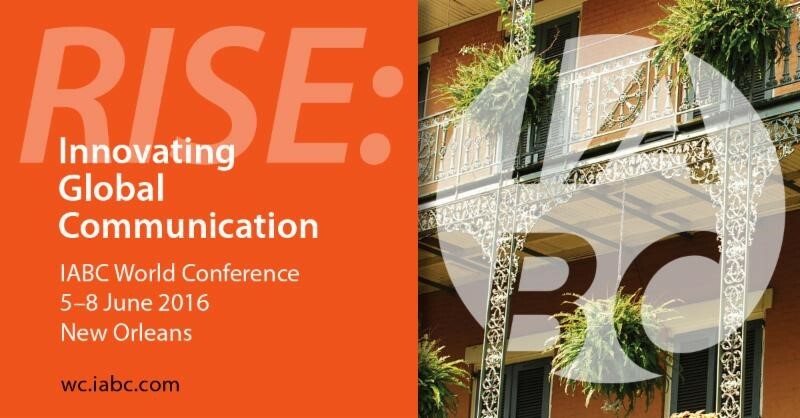 The 2016 IABC World Conference held June 5-8 in New Orleans offered much to the participant. Below you’ll find my top nuggets gleaned from the conference. Unparalleled networking: With more than 1,100 attendees from more than 35 countries, I connected or reconnected with countless communicators from around the world. Attendees shared work- and IABC-related challenges and solutions. Together we made #IABC16 the top trender on Twitter during part of the conference. Open spaces technique: Ian Andersen of the European Commission presented this highly participatory process whereby employees co-create change and help clarify new direction/strategy. This process ensures your workforce owns the change. And this approach allows for multiple groups to work on issues at the same time. For more on open spaces, see my tweets @Gabriettaa from June 8; and go to artofhosting.org for other methods. 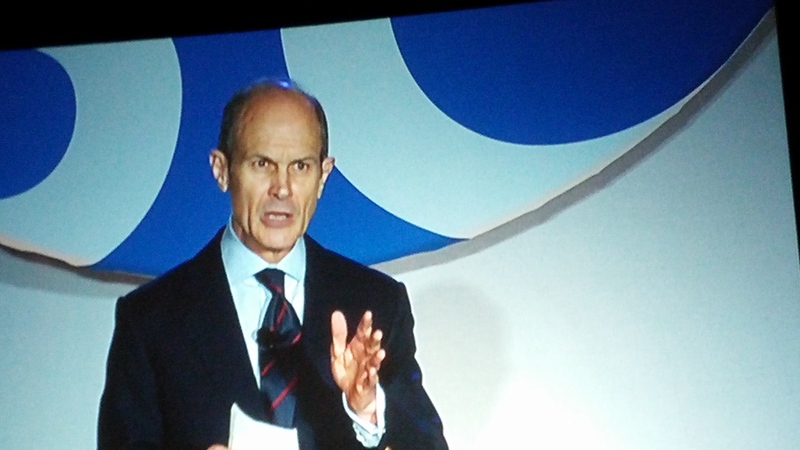 Storytelling continues to resonate: Many keynote speakers and sessions covered the importance of storytelling to get our messages across and engage employees. Steve Crescenzo of Crescenzo Communications told us to trust in employee stories and urged us to make the important interesting. He also shared the 6-word story technique. Rob Biesenbach, corporate communicator, actor and author, reminded us that stories stand out from the noise to connect us by putting a face on a program. He boiled down a story to three ingredients: character, goal and obstacle. He then told us to stay on course (no tangents) and reduce clutter. Storytelling, he explained, is not a time for precision (like dates). Emotional contagion: “With three people silently facing each other in a room, the most emotionally expressive will transmit their mood to the others within two minutes,” said Andy Gibson, founder of Mindapples. Best quote from Andy? “Multi-tasking is the curse of the modern world.” He emphasized we should step away from multi-tasking — especially if you have an important decision to make. His helpful tip to boost your productivity? Design your routine to do the things that require the most energy first. Seth Mattison, founder and chief movement officer of FutureSight Labs, explained how ridiculous the traditional org chart looks to millennials—they view the world as network, not hierarchy. He continued that we have to embrace the networked world. Think about the one unwritten rule you’d like to let go of. Shima Kelly from UPS urged us to create an environment where employees want to engage with your technology (even when remote). Shel Holtz of Holtz Communication + Technology explained 80% of people on Facebook watch videos with the audio off so we need to think about large-format captioning. He added, there’s good-enough video, but professional videographer content still gets better views. Make sure you have a good microphone. Still not convinced we’re a networked world? Check out Carmen Spinoza’s Tweeter feed. This “person” was a made-up character for one of the sessions who already has 151 followers! 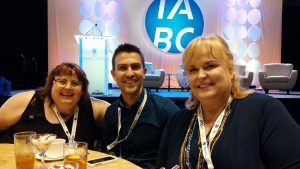 Mary Hills, ABC, Six Sigma, received the highest honor the IABC confers: the IABC Fellows designation. Gagen MacDonald received the Mid-Sized Agency of the Year award. Barbara Immergluck, ABC, of Allstate received two Gold Quill Awards. Chicagoans Rob Biesenbach, Steve Crescenzo, David Grossman and Steve Ritter were all speakers at the conference. And yours truly was ranked second highest influencer by # of posts on Twitter for the conference. Best & worst sessions: The interactive sessions were among the best and most talked about sessions. This approach helped keep attendees focused. The worst sessions were those that didn’t deliver on what was promised by the title and description. For example, a session on gamification never explained actual gamification techniques used, instead it reviewed the basics of a strategy – ugh! Rápido! NEW DATE: Thursday, April 25, 5:30 p.m. – 7:30 p.m.